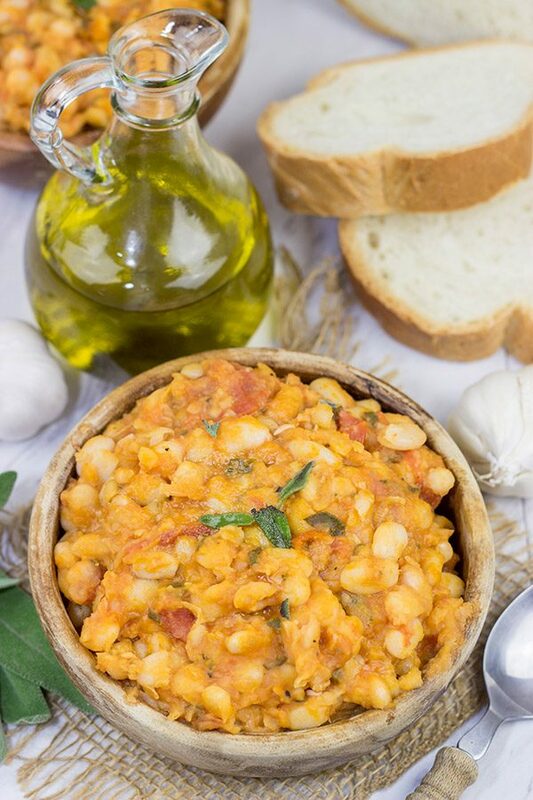 These Tuscan White Beans are a simple, yet delicious Italian recipe featuring white beans, extra virgin olive oil, San Marzano dell’Agro Sarnese-Nocerino tomatoes PDO and a bit of fresh sage. Enjoy! Laura and I have discovered that we enjoy re-visiting the same places on vacation. I’m not saying we repeat the exact same vacation each year, but we enjoy combining new sights and stops with previous destinations. There’s just something nostalgic about seeing an old favorite, right? This past May, Laura and I spent a week in Italy. We split our time between Florence and Venice, and it was an excellent vacation. From the scenery to the history (I’m a Roman history buff) to the food, you can’t go wrong with Italy! While we were based in Florence for the second half of the trip, we did hire a tour guide to take us on a couple of day-trips out into the Tuscan wine country. Laura and I went to Italy for our honeymoon a number of years ago, and we stayed in the little town of Greve-in-Chianti. 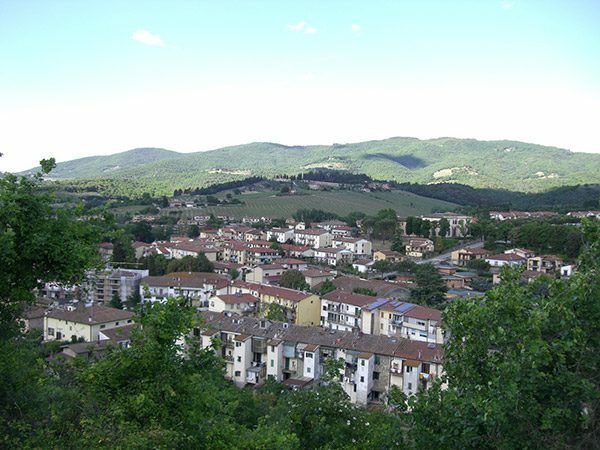 Greve is a quintessential Italian village. Surrounding the main square are a hotel, a meat shop, a cheese shop and several restaurants. Lunches each day were literally a stop by the meat store for salami, a stop by the cheese store for Pecorino and a stop by the bakery for a loaf of fresh Italian bread. Then we sat in the square tearing off hunks of bread and eating it with the salami and Pecorino. Delicious! Fast forward 8 years, and we found ourselves back in the Tuscan wine country. Funny how Italy has that effect, right? We asked our tour guide if we could stop by Greve-in-Chianti for a short visit for ole times’ sake. We had reservations for a cheese-making class in a nearby town, but we managed to get a few minutes to visit Greve again. I loved it! 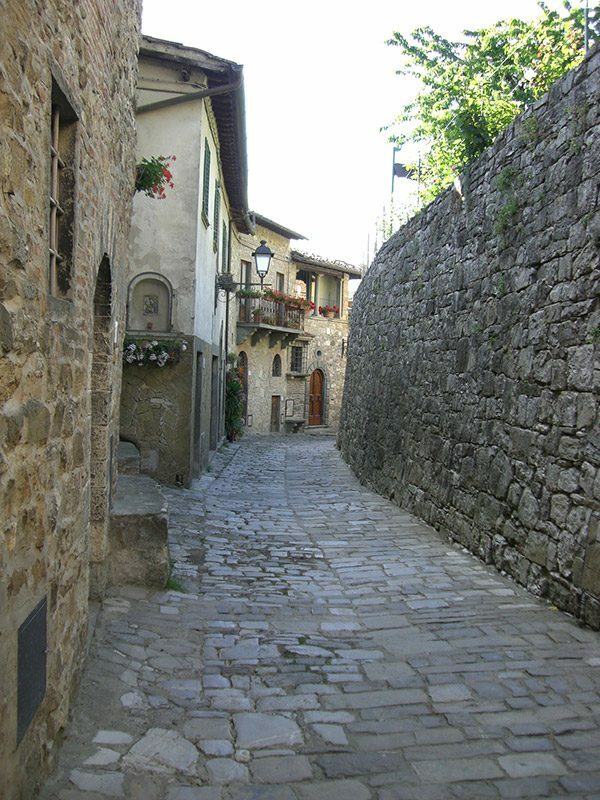 It brought back all of the fun memories from our first visit to this charming Italian village. 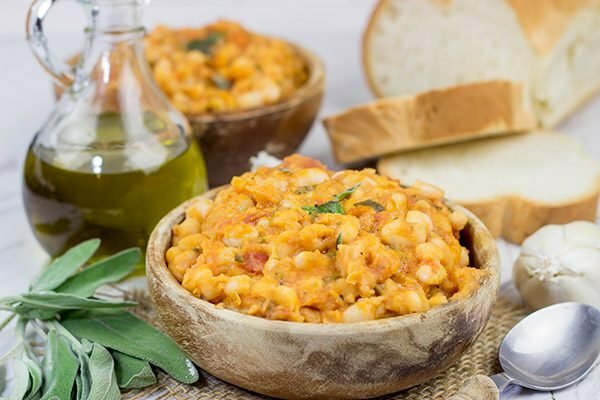 On our first visit to Greve, Laura ordered a side dish that was listed as simply ‘fagioli’ on the menu. 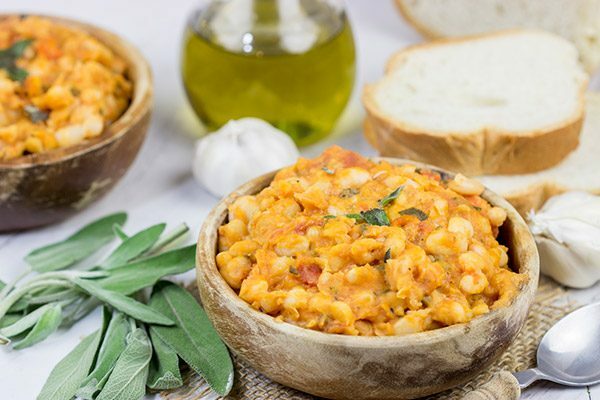 Fagioli translates to ‘beans’ in English, but this dish was so much more than just beans! In fact, Laura proclaimed it to be the best beans she’d ever eaten. But the secret to these fagioli was good extra virgin olive oil. The couple dining near us had also ordered the fagioli, and we noticed that they drizzled extra virgin olive oil on top of the dish there at the table. When in Rome Greve-in-Chianti, do as the locals do…so we followed suit. Wow! Talk about taking a good recipe and making it great. Laura still talks about that fagioli recipe to this day! Francesco, our tour guide on the recent trip, was a really interesting guy. Not only was he knowledgeable about the towns and history of the area, but he had a bunch of really interesting personal anecdotes, too. As we made our way through the winding hills of the Tuscan wine country, Francesco and I got to talking about extra virgin olive oil. I know a little bit about extra virgin olive oil, and I use extra virgin olive oil quite a bit when cooking. But Francesco taught me so much more! Did you know that different regions in Italy are known for different extra virgin olive oils? It makes sense, though. Not only do the varieties of olives change as you go from region to region, but the climates change, too. This leads to different flavor profiles in the olives as well as the extra virgin olive oils from that region. For instance, the Tuscany region produces extra virgin olive oils that are fruity with hints of almonds. Tuscan extra virgin olive oils (Olio Toscano PGI) also have fruity profile with just a hint of pepper. But travel south to the Sicilian region, and you’ll find extra virgin olive oils (Val di Mazara PDO) that are more full-bodied with a hints of artichoke. If you get the chance, try a taste test with different Italian olives oils. You’ll be surprised at the differences when you taste them side-by-side! Similar to how certain wines (i.e. Chianti) can only be produced in certain regions, extra virgin olive oils have the same protected status, too. PGI stands for Protected Geographical Indication. In short, these are laws that protect different foods from different regions. When you see the PGI label on an Italian product (like extra virgin olive oil), it’s an easy way to verify that product’s authenticity. For instance, bottles of extra virgin olive oil cannot be labeled “Olio Toscano PGI” unless they were actually made in the Tuscan region. In fact, you can enter the code from that bottle on the Olio Toscano PGI website and trace the oil back to see who grew the olives, who pressed them and then who bottled the oil. Pretty cool, huh? A lot of products might sound Italian, but the PGI system is how you actually know they’re Italian. 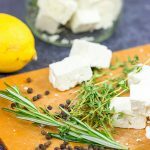 Check out the Italian Made website to learn more about authentic Italian foods from extra virgin olive oils and vinegars to salumi and cheeses. 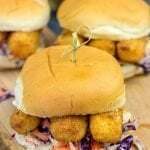 If you like food, then this is a fun website to wander around! Let’s shift our focus slightly over to a recipe that uses Italian extra virgin olive oil. After poring through a number of cookbooks and websites (some of them in Italian), I finally headed off to the kitchen to take a stab at these Tuscan White Beans. The goal was to create something similar to that now-famous ‘fagioli’ dish that Laura ordered years ago in Greve. Like many Italian dishes, these Tuscan White Beans are simple. For that reason, I highly recommend using the best ingredients you can find. For instance, I used a Tuscan extra virgin olive oil that had the “Olio Toscano PGI” label. I also used a can of San Marzano dell’Agro Sarnese-Nocerino tomatoes PDO. (As I’ve mentioned before, San Marzano dell’Agro Sarnese-Nocerino tomatoes PDO have incredible flavor!) After letting those Tuscan White beans simmer on the stove for a bit, I nervously took a spoon and carried it over to Laura. (And, yes, I drizzled a tiny bit of extra virgin olive oil on that spoonful.) One bite and her eyes lit up. She proclaimed these to be quite similar to that version from Greve. Success! 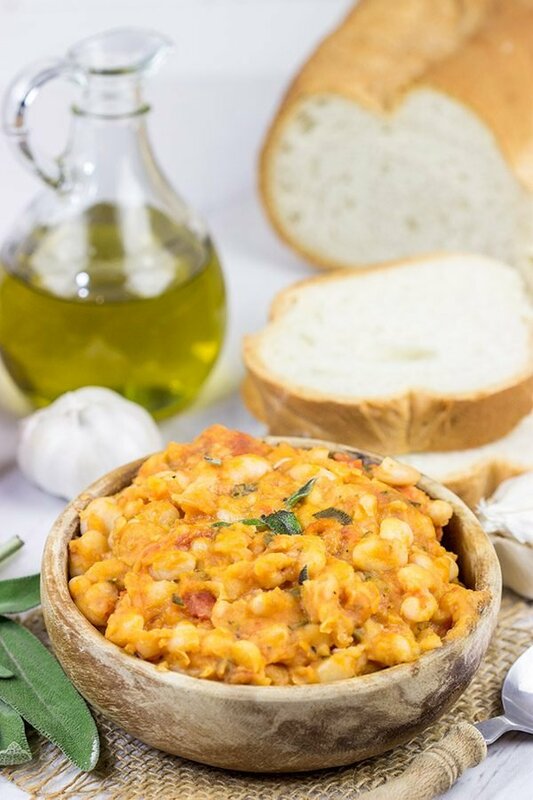 If you’re looking for an excellent Italian dish, then I highly recommend these Tuscan White Beans. Make sure to use authentic Italian extra virgin olive oil and San Marzano tomatoes though…the difference is noticeable! Enjoy, my friends! Click here to discover more about PGI labels and authentic Italian ingredients! Using a large saucepan, add dried beans and enough water to cover beans by at least 2”; let soak at room temperature overnight. Drain beans and return to saucepan. Add enough water to cover beans by at least 2”. Place over medium-low heat and bring to a simmer. Cover and continue simmering beans for 45-50 minutes, or until tender. Drain beans, reserving ½ cup of the cooking liquid. Using a large sauté pan, add extra virgin olive oil and garlic; place over medium heat. Sauté garlic for 2-3 minutes, stirring often. Add cooked beans, peeled San Marzano tomatoes, sage, salt, pepper and reserved cooking liquid. Cook uncovered over medium heat for 25-30 minutes, stirring occasionally, or until mixture has thickened. Prior to serving, drizzle finished dish with additional Tuscan extra virgin olive oil (Olio Toscano PGI). 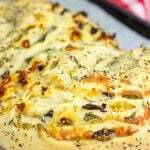 Serve with rustic Italian bread. I love the old buildings, streets, and alleyways so much. There’s an historical ambiance you can’t get any other way. My kids laugh at the pictures from our last trip to Paris which were mostly random old doors and windows we walked by :). Speaking of alleys, this dish is right up mine. We love white bean Italian (and Italian-inspired) dishes so much. Especially on weeknights where they come together so quickly. Oh man, I love a good photo of old doors! In fact, I’ve got several of those from our trip to Venice this past May. You know, a post with those photos would be fun! And I hear ya on this dish. It’s so easy, but it has so much flavor. 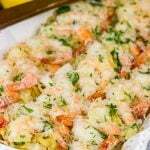 This recipe is in our regular rotation now! Thanks so much, Bill! I’m adding Greve-in-Chianti to my list of places to travel one day. I love visiting major cities when I travel but my favorite is always being in the country to see how people really live. As for these fagioli, I’m definitely going to try them. I LOVE white beans, and of course I love anything Italian, so I know I’ll love these! Love these beans. Typical simplistic Italian fare. I’m the opposite with vacations. I always have to go somewhere new, mostly because there is so much to explore in the world. Also I would just compare experiences. But it’s also different now with no kids at home. Great photos! 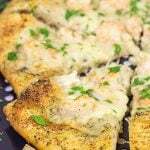 David, this recipe takes me back to Italia, too! My favorite place on earth! Anything Tuscan is for me and these beans look divine! I also love your and Laura’s picnic lunches, my husband and I did the same, both in Italy and France – such great memories! Thanks for the recipe and the trip down memory lane! Italy is hands-down my favorite place on earth, and the amazing Italian food certainly contributes to that feeling. I love simple, rustic food, and these beans are right up there on my list of favorites now! Thanks so much, my friend! I know what you’re saying, David! Although we love discovering new places, I now often experience a nice feeling about coming back… I call this aging…or like you poetically explained, nostalgic feeling 🙂 I’ve never been to Italy, but it’s certainly in our list (But the idea that I won’t be able to resist all that pasta, pizza, bread, and desserts, terrifies me haha). Anyway, I do love this dish; healthy, aromatic, and absolutely delicious. Please pass me a huge spoon! Haha! Nostalgic. Aging. Same thing, except one just sounds so much nicer, right? 🙂 You absolutely, 100% need to put Italy on your list of places to visit. It’s a food-lover’s paradise! And I’m into the history side, too, so that just makes it even more fun for me. 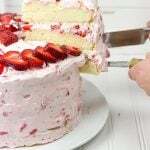 In the meantime, though, definitely put this recipe on your list of things to make. It’s so easy, but it has so much flavor! I love Italy and will be returning next year. I will look out for fagioli on the menu. In the meantime I’ll prepare myself by making your fagioli dish. Thank you! Hey Marcellina! I absolutely adore all things Italy…including the food. 🙂 I love that we can get authentic Italian food here in the States, too. I’d love to just up and move to Italy, but that’s not too feasible (at least right now). 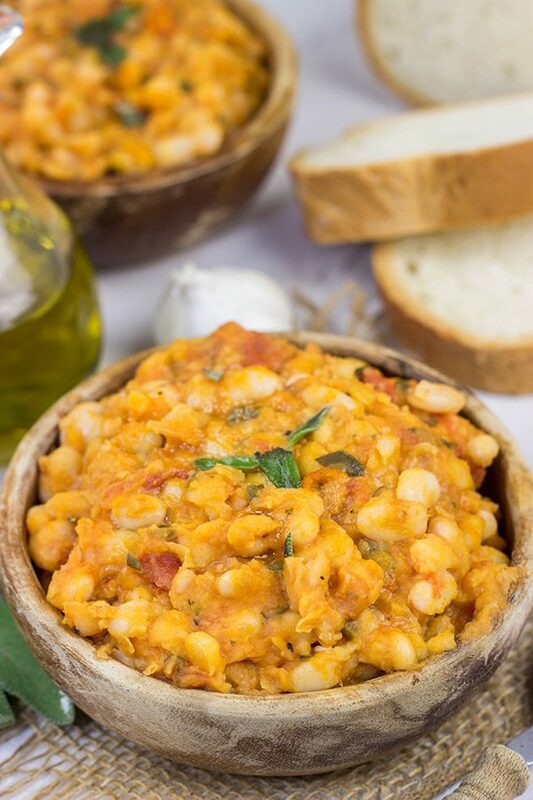 But we’re ok with making delicious dishes like these fagioli as well as reminiscing about our vacations. Thank you so much for stopping by and commenting! My husband and I re-visit places we love too and Italy is my dream country to visit. The beans look fantastic, I want to have some with olive bread 🙂 … Italian dishes are simple, but the flavor is always mind-blowing! Well, to be fair, I’m not sure it’s exactly the same as we remember it…I mean that was 8+ years ago now. Haha! But I can say that these beans are delicious! And, yes, you and Lynne totally need to visit those cobbled streets. Can you imagine hiking across Tuscany with vineyards on both sides?? What a great trip! I didn’t realize different regions produce different types of oil – makes sense though! These beans look delicious! I love how simple they are. That’s comfort food in my book! Yes! My mind was blown when I learned about different olive oils and different regions. And here’s the thing…you can absolutely taste the difference! Francesco (our tour guide) said he used olive oils from different regions depending on the dish. It’s like a whole new world in terms of cooking! 🙂 And, yes, these beans are definitely comfort food. They’re delicious! Thanks, Kathy! Oh my!! I have to go to Italy. I’m sure we will one day…and I’m also sure I’d have to not eat for two weeks prior because I know once I get there I’ll want to eat everything, lol. Beans are such a staple in our home so would love to try these out. Bet they are lovely on toast too! 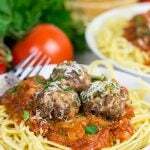 I do agree with ya about using quality olive oil and definitely those San Marzano tomatoes – they’re so good! Yes, you really need to put Italy on the travel agenda, Sherri! Laura’s family is from Palermo, but we haven’t made it to that part of Italy yet. Maybe on another trip. In the meantime, though, these beans? So tasty! They are so easy to make, but they’re also packed with flavor. And I agree that a bed of arugula would be a great addition here. Thanks so much, my friend! To me traveling back to an area you love for holidays makes sense, who wants to spend tons of money to be disappointed. Italy’s is one of those countries to find just such a place. David, you did a marvelous job cooking a wonderful Italian comfort dish. Your plated image are great and I’m sure this dish is not an easy one to photograph. I’m with ya here, Ron. I mean we do love exploring new places, but there’s something to be said for the nostalgia of going back to places you’ve visited years before. 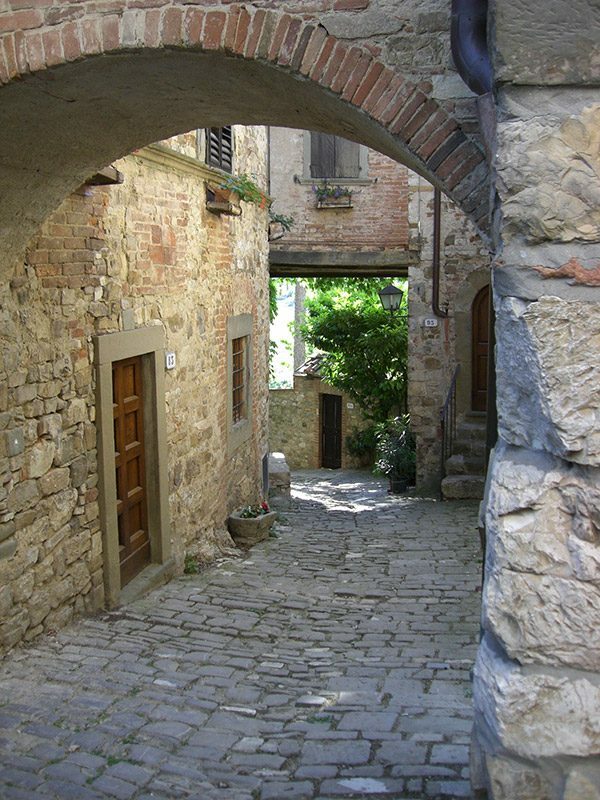 And Italy really is perfect for that kind of travel as there’s always some new alley to discover! Also, thank you for the kind words on the photos here. I was indeed a bit worried heading into the photos, but they turned out well. 🙂 Hope you have a great weekend, my friend! When it comes to Italy, I’ve gotta agree with you – I find myself wanting to go back there too! In fact, Lil S and I hope to return and visit Florence and Venice too. There’s this co. that does group tours of the Tuscan countryside and we were hoping to hop on one of those tours too. Last year when we were there just about every tour guide we encountered had such a wealth of knowledge! And speaking of knowledge, dude, I’ve learned so much today! I didn’t know that different regions in Italy had different EVOOs! Fascinating! As are these tuscan white beans! Yes! The extra virgin olive oil from different regions in Italy have different flavors. My mind was blown when our tour guide was talking about which regions’ extra virgin olive oil he prefers for which dishes. So cool! I want to have a pantry stocked with all of the different regions’ EVOO now! How fun would that be? Thanks so much, Shashi! Your post brought a smile to my face as my husband is the one who likes to return to some of our favorite towns more than once. We rented a villa one year in Rada-in-Chianti and yes, we visited Greve-in-Chianti for a meal. Your Tuscan beans would also bring a smile to my face just as they did for Laura. Keith and I fell in love with white beans while visiting Florence! You brought back so many great memories with this post! Your recipe for these beans sounds wonderful…definitely need to make these and reminisce! It really is amazing how Italian food can be so simple, yet so delicious! You totally should make a batch of these white beans and pull out the photos from your Florence trip. And make sure to open a good bottle of wine, too! 🙂 Thanks, Marissa!